Today I went to our county town for a car service and a few bits of Christmas shopping. Walking back to the garage, I passed this amazing tree outside an old peoples’ home. 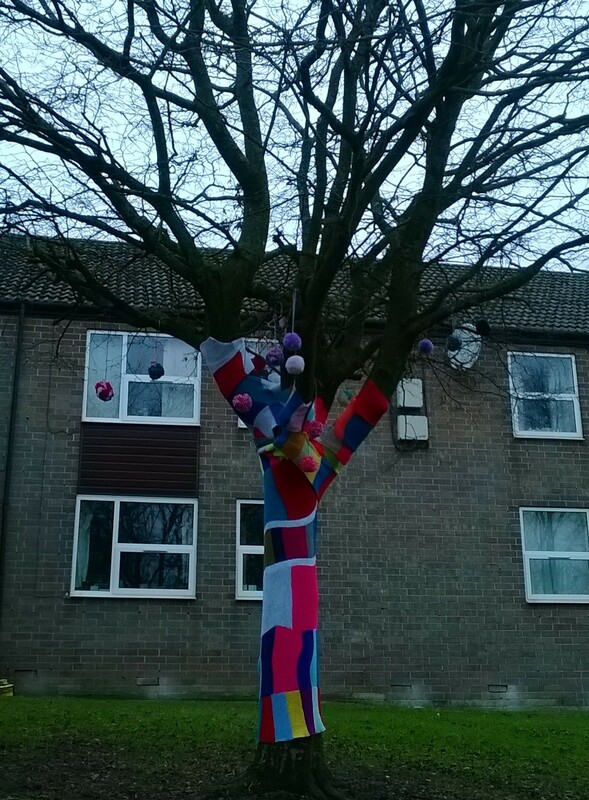 My photography skills don’t do it justice but it is a tree covered in knitted woolly squares with pom poms hanging down. I love that the residents have been creative in making something to brighten their grounds. I thought it was wonderful and such an original, fun idea. Previous Its beginning to look a lot like Christmas ….